The following represent the most popular articles of analysis published on the Market Oracle website out of a pool of more than 19,000 articles, representing a rich resource of financial markets analysis and research. 3. Gary North He is also the author of a free 20-volume series, An Economic Commentary on the Bible . 4. James_Quinn James Quinn is a senior director of strategic planning for a major university. James has held financial positions with a retailer, homebuilder and university in his 22-year career. 6. Gordon_T_Long Mr. Long is a former executive with IBM & Motorola, a principle in a high tech start-up and founder of a private Venture Capital fund. He is presently involved in Private Equity Placements Internationally in addition to proprietary trading that involves the development & application of Chaos Theory and Mandelbrot Generator algorithms. 14. Mike Whitney Is a freelance writer living in Washington state, interested in politics and economics. 15 Money Morning Your Guide to Financial Freedom. We’re in the midst of the greatest investing boom in almost 60 years. And rest assured – this boom is not about to end anytime soon. 20. Pravda Truth from a Russian perspective. 7. How Safe is My FDIC-Insured Bank Account? 4. US Housing Bubble Meltdown: "Is it too late to get out"? Remember to check back for regular updates. Copyright © 2007 The Market Oracle- All Rights Reserved. Disclaimer: The articles published on this site are a matter of opinion provided for general information purposes only and is not intended as investment advice. Information and analysis are derived from sources and utilising methods believed to be reliable, but we cannot accept responsibility for any trading losses you may incur as a result of this analysis. Comments within the text should not be construed as specific recommendations to buy or sell securities. Individuals should consult with their personal financial advisors before engaging in any trading activities. 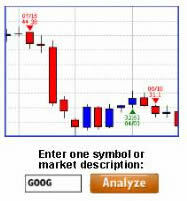 The Market Oracle is a FREE Financial Markets Forecasting & Analysis web site.